A few ways to get to Huma Island Resort & Spa in Busuanga, Palawan. Shipwrecks obscured by the sea, a variety of tropical islands, and world-class resorts — Busuanga’s attractions definitely pique the senses, calm the mind, and reinvigorate the body. This Palawan municipality’s peaceful surrounding, rich biodiversity, and close proximity to Manila make it a prime choice for city folks searching for a respite from the rat race. A day out under the sun is best spent in a quiet white sand beach with family and friends. Pass Island offers such a day and more with its isolated but easily accessible address. Here, it is always easy to enjoy good food, great company, and an exciting game of Frisbee. A close neighbor to Pass Island, Calumbayan Island offers plenty of underwater sights and scenes. It features colorful coral gardens that attract curious snorkelers from Coron and beyond. A sight to behold, Black Island is made up of black limestones rising above blue waters. The island features a bit of vegetation, a beach, cave, and 3 natural pools. If, for some reason, the beaches make you feel like you’ve outstayed your welcome, then feel free to head to Concepcion Falls. It is another great location for picnics, bonding activities, and dramatic photo shoots with the rest of your travel buddies. If a bit of warmth is what you are looking for, then to Maquinit Hot Springs you should go. But do note that the temperature in this saltwater hot spring usually plays between 39 to 40 degrees Celsius. This family-friendly place is open from 6 AM to 10 PM and requires a 100 PHP entrance fee. See African animals without leaving the country by paying a visit to this game reserve and wildlife sanctuary. Calauit Island is a 4- to 6-hour drive from Coron. Depending on the number of people in your group, you may have to pay anywhere from 5,500 to 7,000 PHP to see giraffes, zebras, and impalas. Those in search of a deluxe holiday, World War II shipwrecks, and popular dive sites will find their dream getaway on the works in this exclusive Busuanga resort. 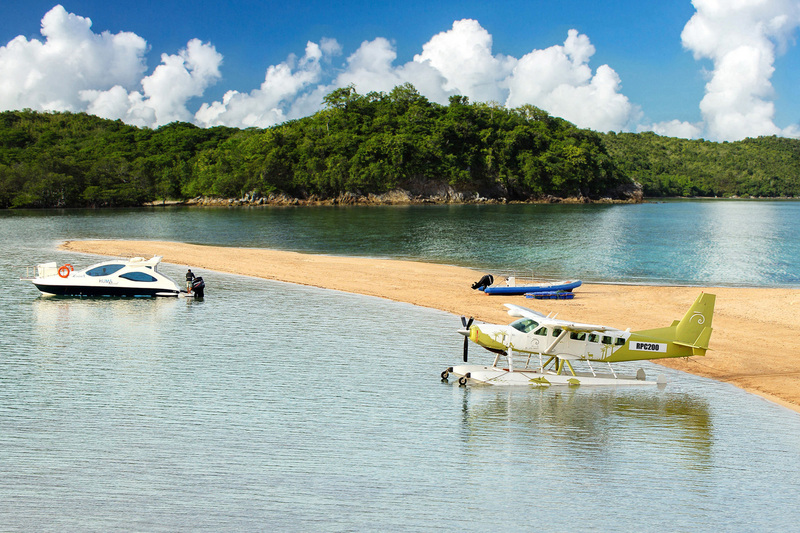 Plan your trip and find out why a 1.5-hour flight is a small price to pay just to experience a stay in Busuanga.